If you don't want to waste your time on configuring the above diagram, you can use my configuration available here (in this case task 1 and task 2 are already complete). 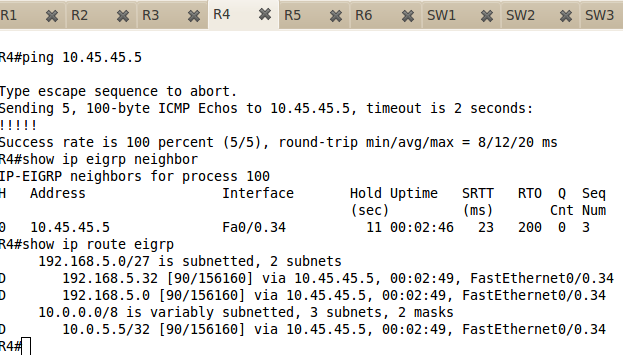 Remove MP-BGP from both PE routers (we create overlay VPNs this time). 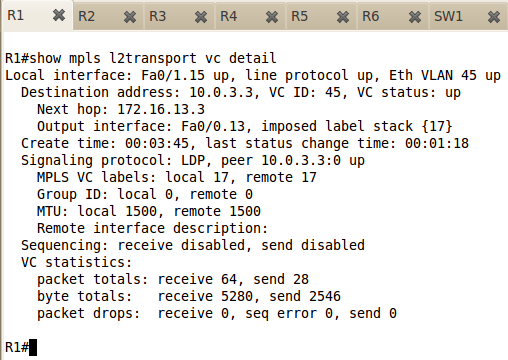 Advertise 192.168.5.x and 192.168.4.x subnets into EIGRP. 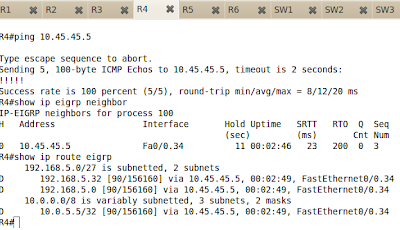 After you have completed task 4, these subnets should be reachable (you can remove network 172.16.0.0 from those routers). Configure Any Transport over MPLS between CE3 (R5) and CE4 (R4). Use IP address 10.45.45.x, where 'x' is the router number. Interfaces should belong to Vlan 45. 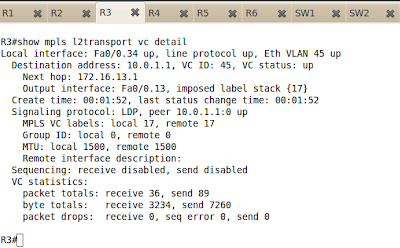 Pseudowire configuration in PE routers should use number 45.